From his formative musical beginnings, to his chart-toppers with Raspberries, to his solo career smash hits, Eric Carmen has proven himself a musical genius with few equals. This fully authorized, in-depth biography follows Eric as he journeys from a small town in Ohio to national and international fame. All he wanted was a hit record (yeah!) He got it, and more! With a Foreword by Cameron Crowe. I could not put this book down! Eric's music was always appreciated by me when i was a kid growing up in Cleveland in the 70's. I will never forget the first time I heard the Raspberries and it has struck a chord with me over the last 40 years. Their songs stand the test if time. You cannot deny that Eric is an incredible singer/songwriter and of course a perfectionist. Without his persistence we would not have all of this great music to listen to. This great book is a must read, not just for Eric Carmen or Raspberries fans, but for all people who can appreciate beautifully constructed music. Bernie Hogya (of "Got Milk?" 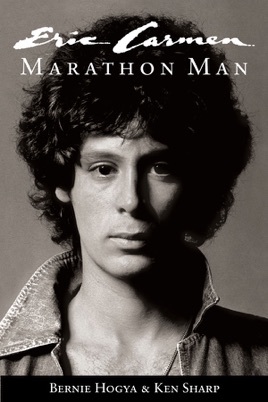 fame) and writer/musician Ken Sharp have provided the most definitively told story yet on one of the great and under-rated musical tales ever with the in depth story of Eric Carmen. The book is replete with hundreds if interviews with Carmen, Bryson, Smalley & Bonfanti, as well as so many if the many players in this remarkable musical journey. Eric Carmen breaks down the heart if a song better than anyone I've ever seen. The intensive attention to detail in crafting one of the most unique sounds in musical history jumps off if the pages. My only disappointment with the book...was when it ended...I didn't want the story to end. And perhaps with the longevity and reliance of this uniquely historical musician and group...the story has not ended. Buy this wonderfully written book. It's a keeper! Did an Editor look at this book? Very poorly written. Too bad as the story is interesting.